Both chambers of the state legislature voted to adopt changes and exemptions to the bipartisan deal that strengthened the state's assault weapons ban and banned the sale of high-capacity magazines. The bill also clarifies the status of .22-caliber rimfire rifles, defining them as assault weapons when fitted with a detachable magazine and more than one of several features including a folding or telescoping stock, bayonet mount or flash suppressor. With passage of Monday's revisions, the firearm so constructed will no longer be available for sale in Connecticut, but consumers who purchased it since April 4 will be allowed to register and keep it. The revisions expand the list of inspectors and enforcement officers who can legally possess and purchase the banned firearms to include sworn and certified officers at the department of motor vehicles, the chief state's attorney office, the department of energy and environmental protection and some constables with police certification. It exempts such officers from the certificate requirement for long gun ownership, and allows them to maintain possession of assault weapons and large capacity magazines after their service ends by registering them. The bill excludes Olympic target pistols from the assault weapons ban, and exempts curios and relics collectors from the ban. It allows assault weapons to be bequeathed to underage beneficiaries through establishment of a trust. The bill also clarifies that criminal background checks for firearms and ammunition purchases are conducted by the state Department of Emergency Services and Public Protection and only submitted for a federal background check at the department's discretion. The bill's passage comes as the state faces the first legal challenges to the gun control law. 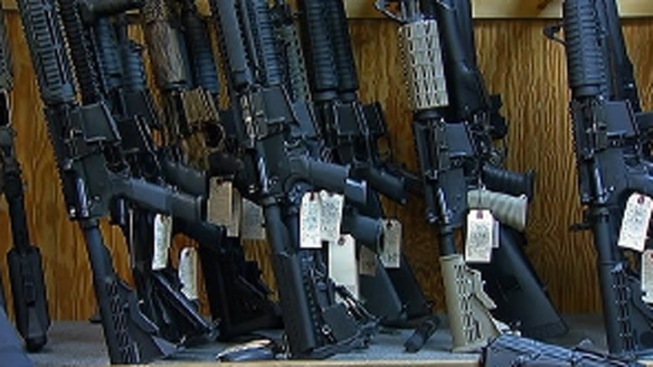 A group of Connecticut organizations that support gun rights, pistol permit holders and gun sellers filed a lawsuit in federal court last month against Malloy and other state officials, arguing the state's new gun control law violates their constitutional rights. Lead attorney Brian Stapleton argues that Connecticut's new law is too vague. For example, he claims it is unclear which guns are banned under the expanded assault weapons ban and says guns similar to banned guns aren't on the list. Monday's bill passed both chambers of the legislature by a stronger margin than the original bill. The Senate approved it in a 33-1 vote, followed by the House of Representatives several hours later in a 131-15 vote. Rep. Craig Miner, R-Litchfield, opposed the bill on April 4 but supported Monday's revisions. "I think it does attempt to at least square the intent of that bill on that night, on that day, with what the public was hoping to have happen," he said. But Sen. Joe Markley, R-Southington said it reflects the "faulty premises" of the original legislation. He was the only senator to oppose Monday's bill. "I think if we acknowledge that we are putting law enforcement officers at risk by limiting their ability to defend themselves," he said, "I think we have to acknowledge that we're putting homeowners at risk by limiting their ability to defend themselves."